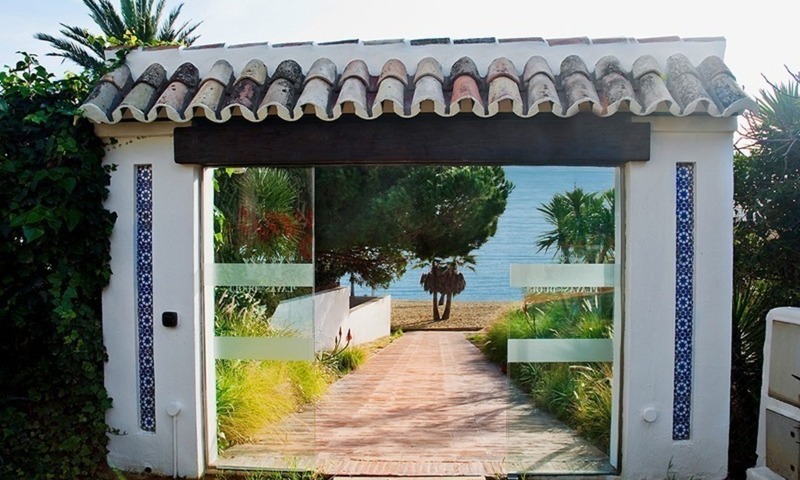 Beachside apartment for sale in Marbella Located in an enclosed second line beach complex of apartments at easy walking distance to one the best beaches of Marbella. Secure popular urbanization with children playground set at walking distance to supermarket and international school and nearby main golf courses, beach bars and amenities in the area. South and Southeast facing Communal garden area and communal pool. Good views to the private garden and pool. 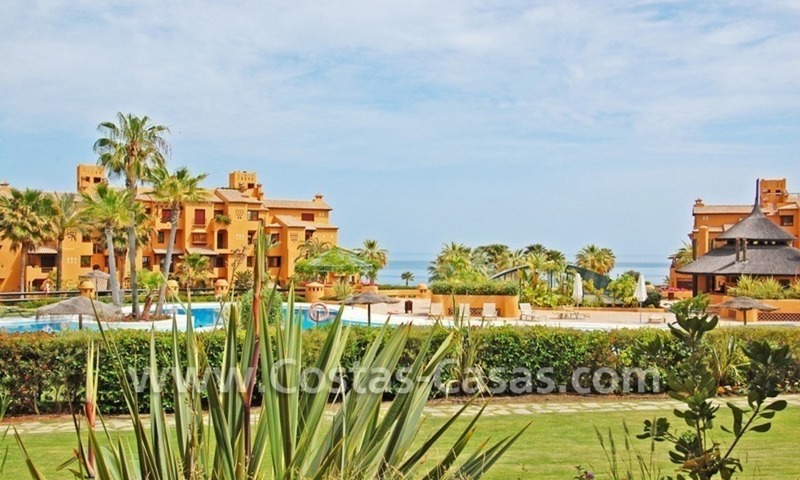 Bargain apartment to buy in an exclusive beachfront complex on the New Golden Mile in the area between Marbella and Estepona Frontline beach elevated and gated complex with 24h. 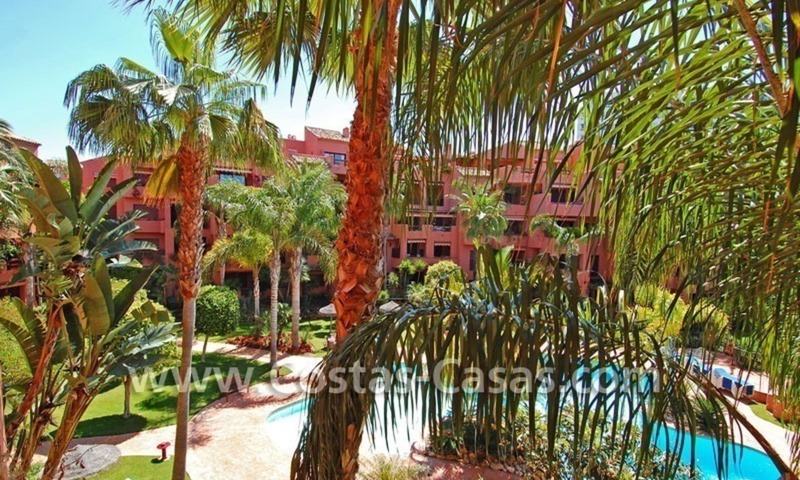 security, well maintained communal gardens and swimming pools, one of them is located just by the beach. A gym is being constructed at the moment and will be ready shortly. South orientation. The apartment itself has views to the garden area. The urbanization has a beach bar and restaurant available for the owners. Golf apartment for sale in a gated first line golf complex in the area of Marbella – Benahavis Located in a renowned and prestigious area close to several golf courses and only a few minutes drive to supermarkets and all kind of amenities. 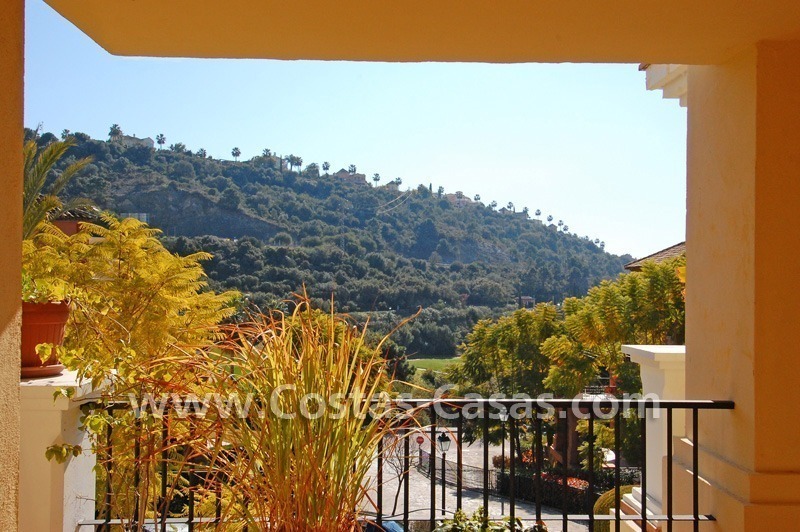 The apartment has very good views over the communal garden, the mountain and the golf next to it. South facing to enjoy the sun and the brightness all day long. Beachfront luxury apartment for sale in Puerto Banus – Marbella Frontline beach complex of apartments with 24 hours security, concierge service and gym facilities located in the heart of Puerto Banus offering a prime position and on a door’s step to amenities, shops, many restaurants and the beach and close by the Marbella Golden Mile. Close to the golf valley of Marbella with more than 100 holes in total. South facing. 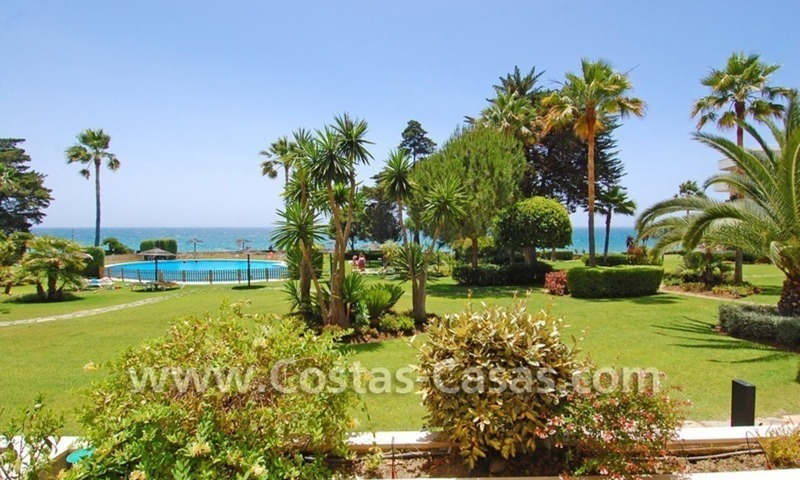 Good views to the communal gardens and partially to the sea which not many apartments have. 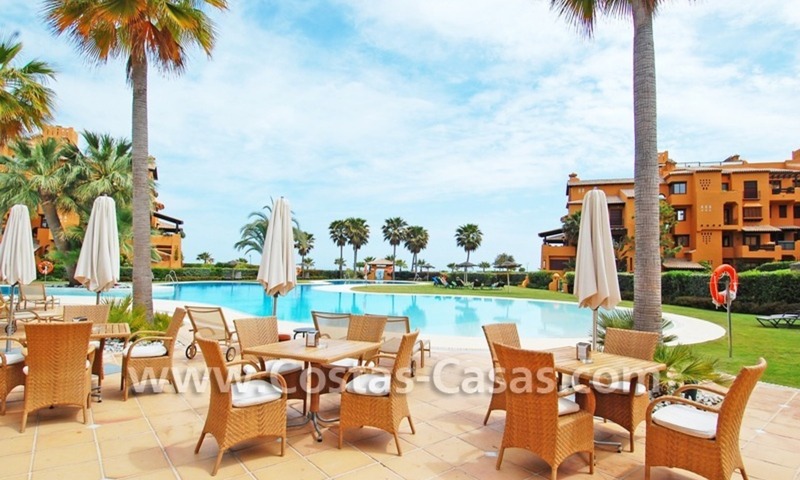 Luxury apartment to buy in a beachfront complex on the New Golden Mile in the area between Marbella and Estepona Frontline beach elevated complex with immaculately maintained communal gardens and swimming pools and a beach promenade. Direct exit to good beach and good restaurant inside the complex. Complex located in a unique private residential development surrounded by beautiful nature and green areas and only 10 minutes drive from the best beaches, supermarkets, shopping centres and 5 minutes drive to the best schools in the area. 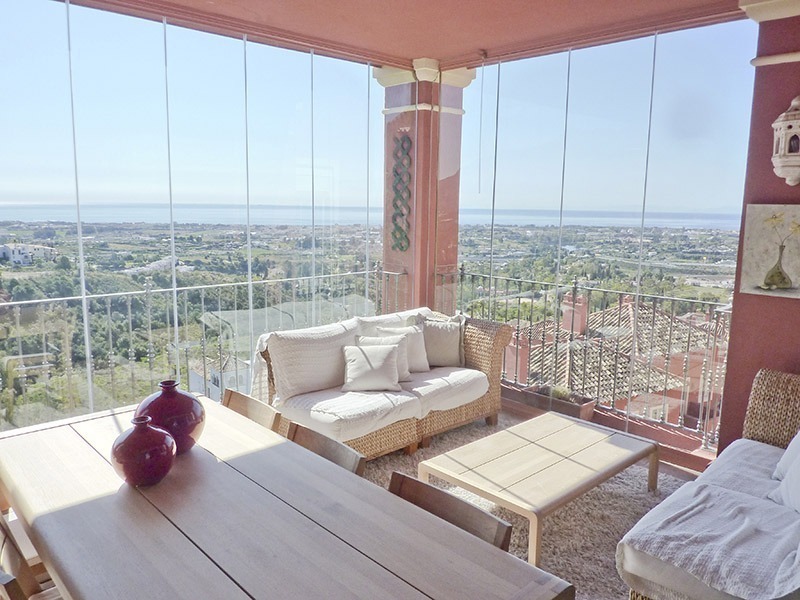 Open and panoramic views to the green area, the mountains and the sea. Frontline beach apartment for sale in a beachfront apartment complex on the New Golden Mile between Marbella and central Estepona Large communal and mature gardens and swimming pools South facing Views to the garden, sea, Strait of Gibraltar and Africa Sunny large semi-covered terrace of 60m2 with direct access to the gardens and pools Update: this apartment has been sold, but we do have a similar apartment with the same view for sale! Bargain! Luxury golf apartment for sale in Nueva Andalucia – Marbella Located in a golf resort of private apartments in Marbella´s golf valley, Nueva Andalucia. Tranquil and secure location. 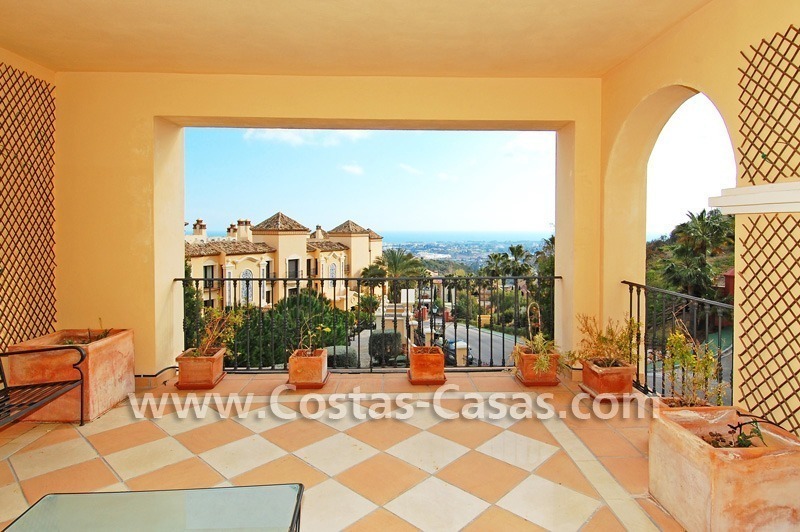 Southwest facing Amazing views to the golf, to the mountains and to the sea. Spacious, high quality and finishings. Update: Sold. Other resales are available. Please enquire.